Nothing beats the feeling of a fresh, clean house, but the harsh chemicals are bad for the environment and can leave you with a serious buzz after a hard day’s work. Skip the abrasives and spruce up your favorite room the natural way. Would it surprise you to learn you probably have everything you need to clean and disinfect your kitchen (and the rest of your house) in your home already? Not only are these natural cleaners better for the environment and safer for use around children and pets, but they’re also significantly cheaper (about one-tenth). All you need is an empty spray bottle, which you can purchase at any grocery or dollar store, and you’re ready to go! 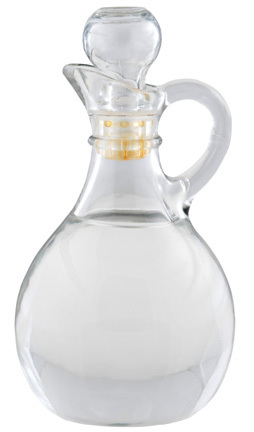 White vinegar is a mild acid that dissolves dirt, hard water stains and other nasty residues. Undiluted white vinegar can be used to clean your shower head by pouring it into a baggie or bucket and securing it to the faucet overnight. You can also pour a bucket of water into your toilet (to force out the toilet water) and use it to clean the bowl — a pumice stone will help you take care of the water rings. Does someone in your family have sensitive skin? Add a cup of vinegar to your rinse cycle as a natural alternative to commercial fabric softener. In its diluted form, you can use white vinegar in the kitchen to clean smooth surfaces like countertops, stoves and the inside of your microwave. In the bathroom, you can use it on floors, the shower and even on the surface of your toilet! You can even use white vinegar on hardwood floors. If a stain is particularly tough, you can remove the spray head and heat it in the microwave until slightly hot. Pour water and vinegar into a spray bottle, close and shake. You can also use a mixture containing white vinegar to clean mirrors, chrome and ceramic tiles. If you need a stronger glass cleaner, use a non-sudsing ammonia in place of the vinegar. Pour water, alcohol and vinegar into a spray bottle, close and shake. Lemon juice can help dissolve soap scum and hard water stains and polish many hard surfaces, like hardwood floors or wood furniture. It cuts odors, degreases and even whitens. Pour oil and lemon juice into a spray bottle and shake. Add more or less oil depending on how shiny you want your wood. Pour half a cup into the rinse cycle the next time you do whites and let them dry in the sun. Squeeze a little on a stubborn countertop stain, let it sit for a few minutes, and wipe it off. 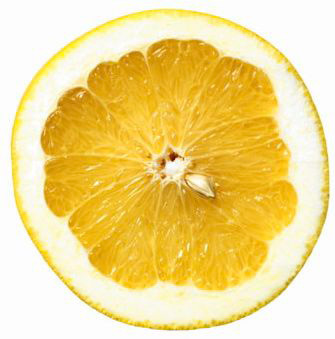 Squeeze a bit of lemon juice into your all-purpose cleaner (recipe above) to make the smell a little more tolerable. Just make sure you spot check it on walls or wood before using it all over to make sure it doesn’t leave spots. Rub lemon juice on your hands after cutting foods with strong odors (like garlic or onion) to remove the smell. 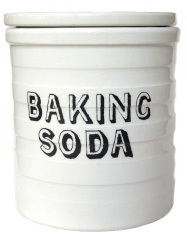 Baking soda is a natural mild abrasive and deodorizer. You can sprinkle a bit onto a damp sponge to use in place of harsh chemical abrasives to get rid of grime in the bathtub, stuck-on food in the sink or scrub vanities. Is the bathroom extra dirty? Make a paste with water and baking soda, spread it over the hard-to-clean surface and allow to sit for 10 to 20 minutes, and then scrub and rinse. Sprinkle baking soda over the cut end of the lemon. Use the lemon as a scrubber to clean kitchen or bathroom tile, bathtubs, showers and vanities. All-natural cleaning products can be used for most of your cleaning and disinfecting needs. They’re just as good (sometimes better) than the commercial cleaners you can buy at the store. If you’re skeptical, it’s inexpensive to give these natural cleaning recipes a shot, so why not try? Learn how to make 442 ounces of laundry detergent for under $2 in just 15 minutes! Do green cleaning products really save you money?